The fast-growing cloud ERP company strengthens its executive team with the addition of Visser-May as CMO and LeGresley as COO. 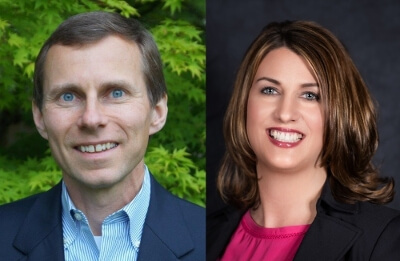 Acumatica, the fastest-growing cloud ERP company, today announced the appointments of Kathy Visser-May as Chief Marketing Officer; and Nigel LeGresley as Chief Operating Officer, effective immediately. Both Visser-May and LeGresley bring decades of experience from public and private technology firms, added Roskill. Marketing veteran Visser-May joins from Microsoft, where she spent the last 10 years, most recently as the Senior Director of Global IT Professional Strategy driving brand, storytelling, and evangelism for the technical audience business. Visser-May started her career in advertising, and moved on to hold leadership positions at PeopleSoft and Huber Marketing Group. LeGresley was most recently the VP of Finance at Tableau Software, where he led finance and accounting activities and was a key member of the team who completed the company’s successful initial public offering. Before Tableau, he was Corporate Controller at Isilon Systems, and then EMC Isilon Storage Division after EMC’s acquisition of Isilon. LeGresley started his career at Ernst & Young.